One of the tells of a great songwriter is the ability to say everything that needs to be said through music alone. Few artists achieve such proficiency in their lifetime, but it’s an easily recognizable trait: When a song opens up so much that it leaves listeners fully satisfied, there’s a great songwriter behind it. When a song is instantly relatable, no matter how personal the story or intimate the message, there’s a great songwriter behind it. When a song hooks you, pulls you in and demands your attention from beginning to end, there’s a great songwriter behind it. 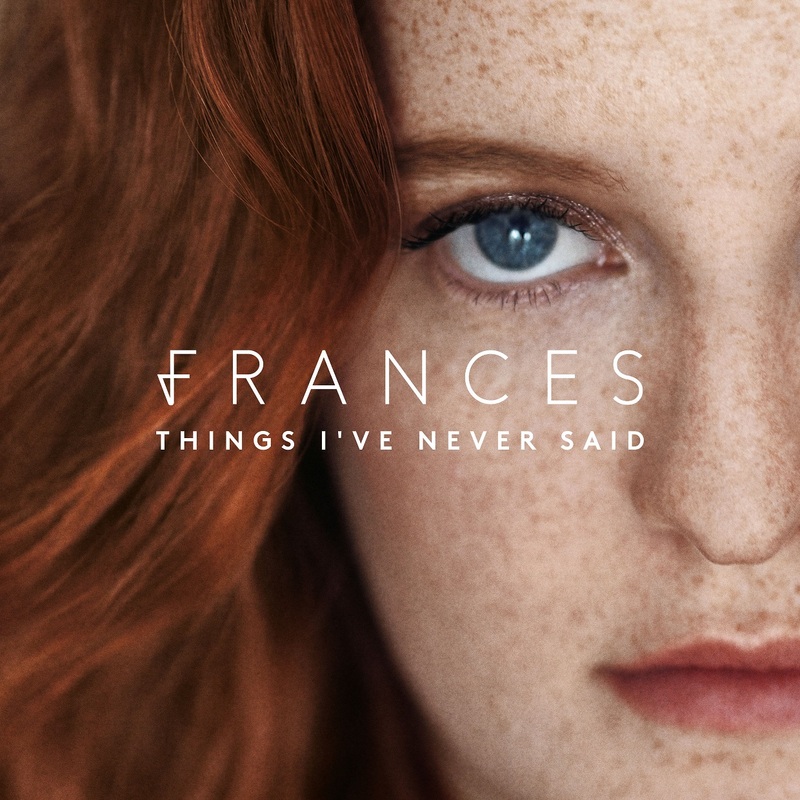 Frances’ debut album Things I’ve Never Said (3/17/2017 via Cookie/Capitol Records) leaves little doubt that, at the ripe age of 23, Sophie Frances Cooke is a great songwriter. Frances is an open book on her debut album, which comes after the release of her EPs Grow and Let It Out (2015 via Capitol/Communion), as well as a notable feature on the ‘50 Shades Darker‘ soundtrack. 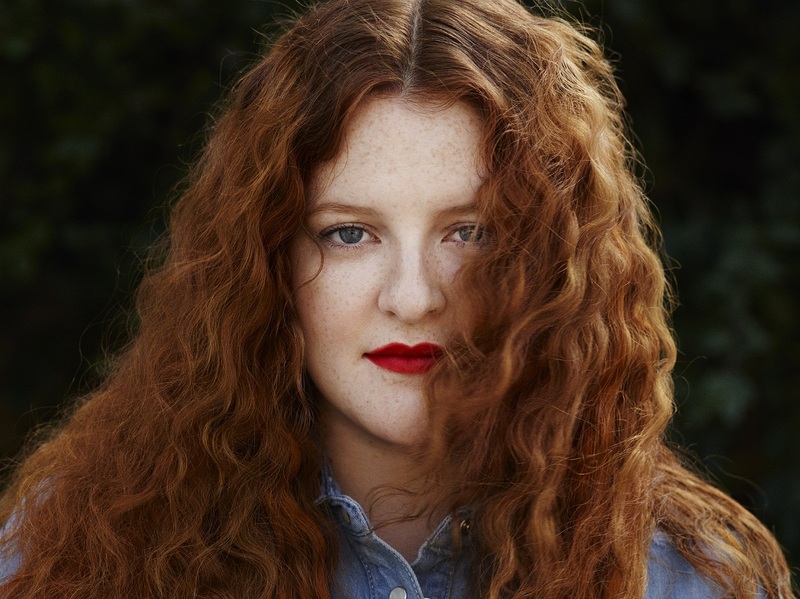 The sixteen-track ‘deluxe’ album highlights Frances’ impassioned piano balladry and her stunningly powerful voice – the two core elements that she says make her who she is. Frances fully immerses us through her emotionally driven, lyrically-rich songs: The album’s stirring opener “Don’t Worry About Me” is a tear-jerkingly honest, heartfelt commitment to sustain and comfort another; the titular words don’t worry about me are repeated like a mantra, and as Frances utters each line, we feel the burden of her undertaking. The ability to approach songs from a tell-all perspective is one of Frances’ greatest traits: She captures the physical, mental, and emotional cores in both special and everyday experiences, translating them into a universally relatable language that hits home every time. We feel the pain of heartbreak in songs like “Love Me Again,” “Cloud 9,” and “Say It Again,” which read like diary entries to the one you love. “Cloud 9” is particularly poignant, finding Frances basking in love while revealing deeper insecurities about what would happen if that love were lost. The album name Things I’ve Never Said fits the character of these songs only too well; each track offers its own precious intimacy. Frances’ album may speak poignantly to the hard times, but it also captures the warmth of the good. The electronic beat-driven “No Matter” positions itself as an upbeat anthem of perseverance, and the soaring “Let It Out” crafts a sweet ode to the unique bonds of a strong, enduring love. Frances’ mesmerizing debut single “Grow” can play either side: It comes off as an uplifting cheer for overcoming obstacles and believing in someone, but it is also about letting go of someone you love, giving them the time and space they need to experience new things. Atwood Magazine: What has your experience as a singer/songwriter been in the 21st Century? How do you keep your songs and stories fresh? Frances: I think that’s the ongoing challenge for any artist. I think because I’m a songwriter first and artist second – as I have always thought of myself – for me, what I really enjoy is going in a co-writing with people, because I’ve always written on my own, since I was like 12 years old. Some of my favorite songs on my album are probably the ones that I wrote on my own, but I think having the opportunity to go and co-write with people, I think that sort of keeps it fresh. You learn so many new things – how to say things in new ways, for example. Sometimes, if your ideas are kind of drying up a bit… I was in the studio with someone the other day, and they had this kind of theme they wanted to write about – this is for another artist – and we were looking up titles of novels! It sounds so random – that we were getting inspired by other writers, but writers in a different world. What’s the co-write experience like? Frances: Everyone, nowadays is a writer/producer. So everyone can do it “from their bedroom,” and it really varies on the person. I’m still learning all the time what kind of people I like writing with. Sometimes I love going in with just a producer who sits at a laptop, because I’m like, that’s so amazing that you’re making this amazing music, and you’re literally just sitting at the computer!, because I can’t do that! You know, I sit at a piano and that’s how I write songs, and I respect them for being able to do that, but also it’s lovely to get in a room with people who write songs in the same way that I do. You kind of find you’ve got things in common, growing up, that led you to this point, and that’s really cool – but everyone does it differently; it’s crazy! What are some songs you co-write, that you love? Frances: “Grow” is actually one of the songs I love, that I co-wrote. I wrote it with Benjamin Francis Leftwich. Pretty much all the original demos for the album were done in this tiny little flat. “Grow” was the first song of yours that I ever heard. In a recent interview you mentioned that it’s your favorite song on the record. Why is that? Frances: Yeah, I think it is, because it seems to have turned into a little fan favorite. I think because it was the first thing I released, so the people who were with me since then, are the people who are still, now, like with me – and I love them for that. It’s also just one of those songs that has really stood the test of time – in that I’ve been playing it in my live set since I wrote it in early 2015. I think it sounds kind of classic, but it also sounds quite modern, in a weird way. Like, I think it’s the only mainly piano/vocal track that also sounds modern, I think, because of its melodies. I never really worked it out, but it’s just got something about it that I love! Your primary songwriting instrument is piano. How has that developed in the past few years, since you released “Grow”? Frances: It’s hard because it’s very easy to slip into playing in the same way all the time. I also find it quite hard, because I have this thing called perfect pitch, which means I know what’s going to happen when I press the keys – I know what note I’m going to hear! So it means that I can sometimes be less imaginative, because I know I want to play this! Nothing’s going to “surprise” me, so sometimes I do have to close my eyes and just kind of go at it, to stop myself from playing the same things all the time! Or I’ll just have a play and not really look… interesting things happen when I’m not thinking about it or I’m not trying too hard. Do you ever listen to different music to find something totally out there? Frances: Definitely! Drake recently released this “playlist,” and there’s some beautiful piano playing on that – which I really didn’t expect. I do love Drake – it’s not the kind of stuff I listen to all the time, but it was a big event – he just dropped this out on an afternoon! I absolutely love it; there’s some really beautiful piano playing on it, and some… “expensive” chords. It’s things like that. There’s this artist called Sampha I love, who’s this amazing pianist. It’s good to listen to stuff and hear how they do it. Can you give me a brief narration of the time in-between releasing “Grow” and your debut album? 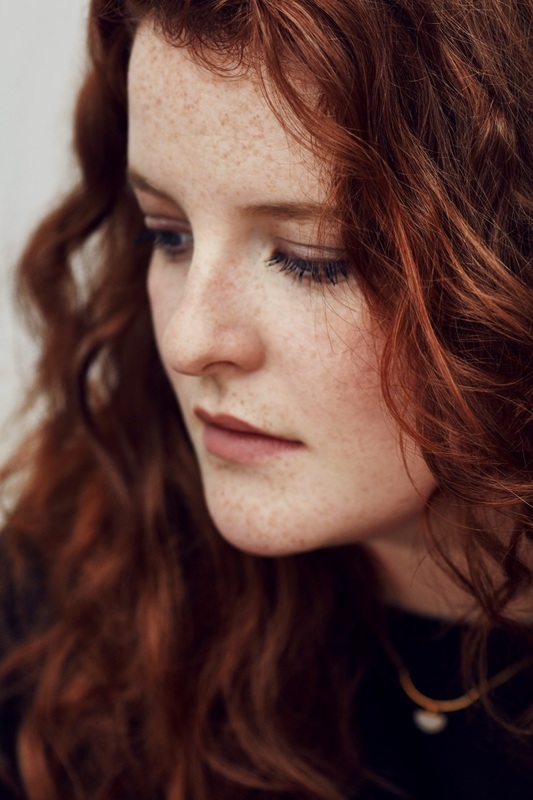 Frances: So I released “Grow” in July 2015, and did some low-key touring with me and a keyboard in some really weird places, just to get myself used to playing live – like, we went up to the top of Scotland, where nobody lives, and played in some pubs. Then I supported James Bay on tour in America, which was my first-ever time in America. I was just doing a lot of writing. I was in the studio every day, either on my own or with other writers, just writing loads of songs. Every now and then I’d record songs for an EP… Some of those bits of recording ended up on the album. “Drifting” and “Sublime” were both recorded for an EP, but never ended up going on the EP. I was nominated for the BRITs Critics’ Choice Award in the beginning of 2016, which was fun. That kind of started everything going – being in those lists kind of gives press permission to write about you, and radio permission to play you… ‘Cause you just need some kind of “cool.” That kind of propelled a lot, and I guess it got me to where I am now. I just built quite slowly and organically, I guess. Every show I did, there were more people there… And then the Fifty Shades Darker thing came out, I had a song in that… I don’t know, I get so lost! Another of your earlier songs I really liked was “When It Comes to Us,” with RITUAL. I thought what was so interesting with the Grow EP was that, those two songs were so different from each other! So you have these two different artistries – and forgive me for making such a vast generalization here –but I feel like your music has piano-driven ballads, and then electronically-driven dance beats. How do those two identities coexist in you? Frances: I think it’s the songwriter in me that brings them together. It’s not a problem, but the thing is that I write so many songs – and I am a songwriter first – that I would be in all these writing sessions and sometimes I would write something actually not with me in mind, but my label would hear it and go, “Oh my God. Would you ever sing this for yourself? !” Something like “When It Comes to Us,” and “Borrowed Time,” and “No Matter,” actually I really was quite against releasing in the first place. It clearly doesn’t fit with anything else, but actually it really earns the respect of certain ears, and also earned me loads of new fans who love “Borrowed Time!” It just puts me in the minds of people who perhaps naturally gravitate towards piano ballads. With songs like “No Matter” – was that a challenge to you as a songwriter? When I listen to that song, compared to your word-based balladry… I feel like this is different, in that it uses the same words, over and over again, in different contexts. Frances: It was, but again because I didn’t write it for me. I actually wrote it quite early on, with a guy from my university. We made this version of it, and then Rudimental tried a version of it, and Gorgon City tried a version of it, and never ended up releasing it. And then I literally found it in my iTunes library, like six months ago… I was missing a really up-tempo song on my album. It needed something – a little bit of light relief between all the ballads. It’s a different way of me singing, it’s higher than I normally sing… and these amazing producers called Mojam, who worked on a lot of Emeli Sandé’s stuff, we sent them the piano and vocal, and they basically turned it into what it is – which is amazing! Honestly with you as a songwriter, I don’t need to ask you questions: I think I hear it in the music, and I understand it in songs, because you really share that part of yourself. It’s the other side – songs like “Borrowed Time” and “No Matter” that are so interesting to me, because they are also a part of your identity. Are they becoming a part of you, the more you sit with them? Frances: They 100% are! Anything I create, there’s always going to be a part of me in it. All the songs come from the same place, and the lyrics all come from me and it’s all my voice – so it’s “all me” at the end of the day. Sometimes you’re writing about being from a place of pain, and sometimes you’re writing about being the person to take someone else out of a place of pain. Are they both you? Frances: Yeah, I’m a very maternal person – I’m very motherly and like to take care of those around me, so I think that always comes across in my songs. But then of course I like to write songs that are a bit, kind of woe is me as well! So why start the record with “Don’t Worry About Me”? Frances: Because it starts with just my voice. I think it’s the perfect introduction into what I’m about. And also, I think when you put on an album, I always feel like the first song has to kind of grab you – it has to be something a little bit brave, whether that’s loud and uplifting or in my case, more quiet, that makes you really listen. How did the earlier songs you wrote inform your songwriting, moving forward? Frances: It’s weird – I wrote “Don’t Worry About Me,” “The Last Word,” and “Cry Like Me” in the space of about four days! I have these weird harvesting periods. I write songs all the time, and there will be a period of time where they’re all really rubbish, but you just have to get out the really rubbish songs. How do you push them out? Frances: Because when you’re writing, you think it’s the best thing in the world. You have to think that, otherwise you’d never finish it. There are those pockets of time – usually about a week, every couple of months – where the good songs come really quickly. This album is really long. Frances: Yeah, it got longer. I tried to keep it so short – I wanted it to be ten tracks, because that’s obviously perfect for vinyl, and then an extra four for deluxe, but I just wanted to add “No Matter” firstly, and didn’t want to take a song away to put that in. Also, eleven is a lucky number for me. Why did you end the deluxe album with “Borrowed Time,” and then “The Smallest Thing”? Frances: “Borrowed Time” had to be on the deluxe; I wanted the deluxe to feel like its own little bit of the album, where it’s like the songs that I absolutely love but that just didn’t fit sonically. I purely wanted to end on “The Smallest Thing” because it’s a different kind of song – it’s not about love, it’s about something different. Again, it’s just piano and vocal, so it’s kind of ending how we started. And why end the regular album with “The Last Word”? Frances: I wanted originally to end with a song called “Sublime,” because it’s got this huge ending, but when I wrote the last word, I knew, this is the song that closes my album. I knew it was; it’s just so emotional with the strings, and again it brings it back to piano and vocal, and I want to bookend the album with the things that make me who I am, as a musician. I understand the title Things I Never Said comes from a lyric you wrote – is that on the album? Frances: No, it’s from a song I didn’t end up using, but I loved the lyric. I kind of realized that everything on the album were things that I never really talked about before. The song was rubbish, but that lyric – that had to be the title of the album!